Warning! This is an overnight recipe due to the defrost time of the frozen dough. You can, however, make your own fresh dough from scratch or buy fresh dough from your local bakery. Second warning! This recipe is so delicious, you risk eating the whole thing in one sitting. You’ve been warned. 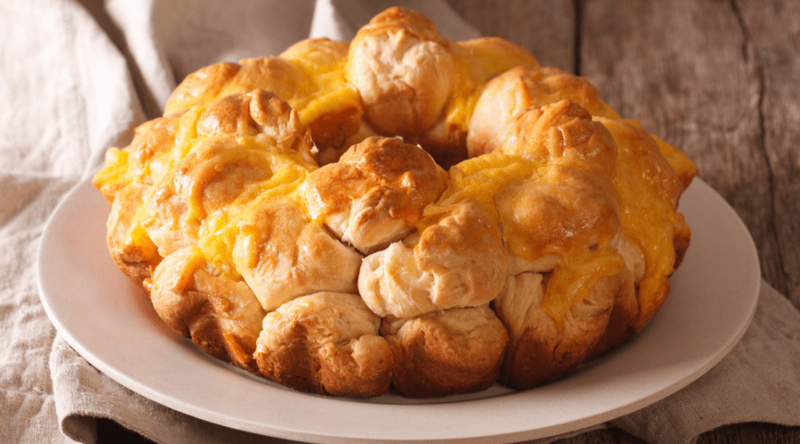 Pull apart monkey bread is a favorite among backyard dwellers, kids, and fans of cinnamon rolls. The yummy dessert is basically tiny cinnamon rolls balls, baked together in a pan, and covered in a buttery, sugary, glaze. It’s easy to make, requires very little ingredients, and is the perfect dessert for backyard events such as birthday parties, summer BBQs, etc. because you can eat it with your fingers! 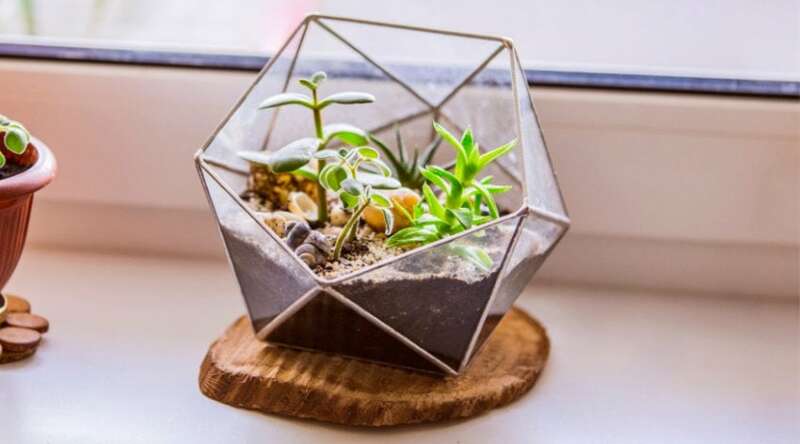 Even though the design and creation of these centerpieces are pretty simple, the use of power tools really is a must in order to have accurate and clean cuts. Even though this project is very forgiving and doesn’t necessarily need to be perfect in every sense of the word, it is something that you will want in a place that you can show off. You can make your own bread dough from scratch if you have the time and ingredients. Keep in mind that this will increase your prep and baking time for this recipe. But if you’d rather do that, here’s a great recipe for how to make your own bread dough from scratch. 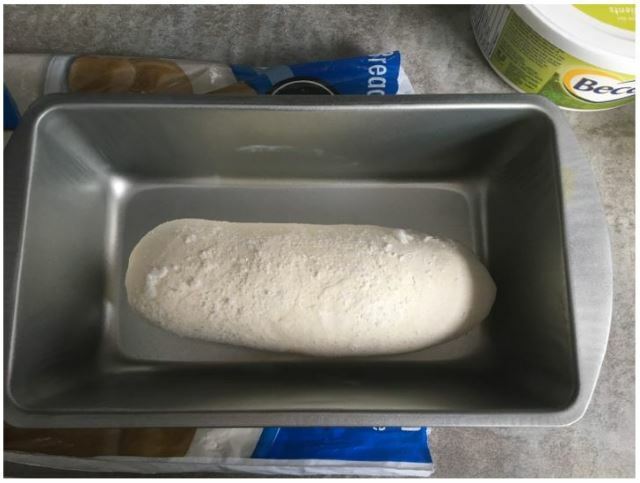 Take out the frozen dough and place in a bowl or pan. 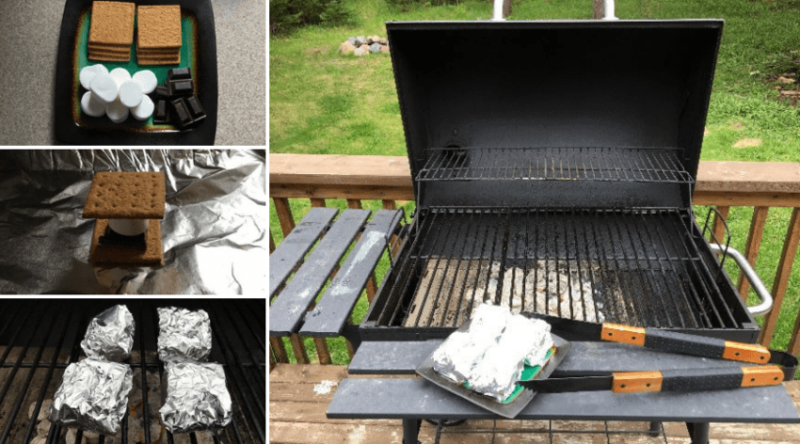 Cover with a plastic bag and towel overnight to defrost, rise, and expand. 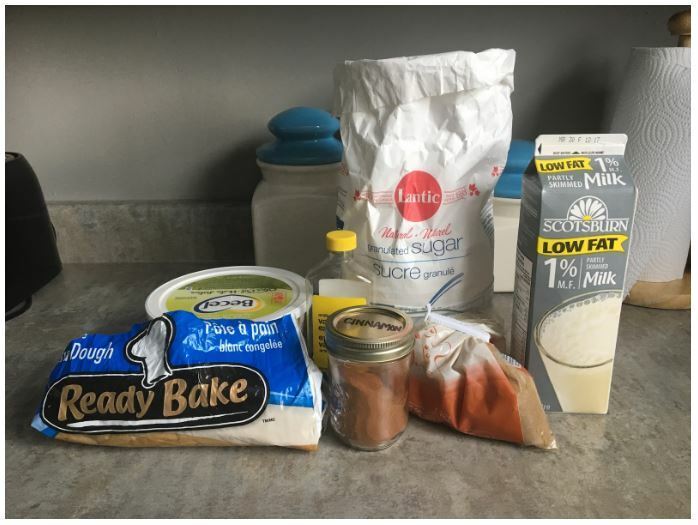 (If you opted for the fresh dough or homemade recipe, then omit this step) I prefer to use frozen dough because I usually have some in my freezer at any given time. 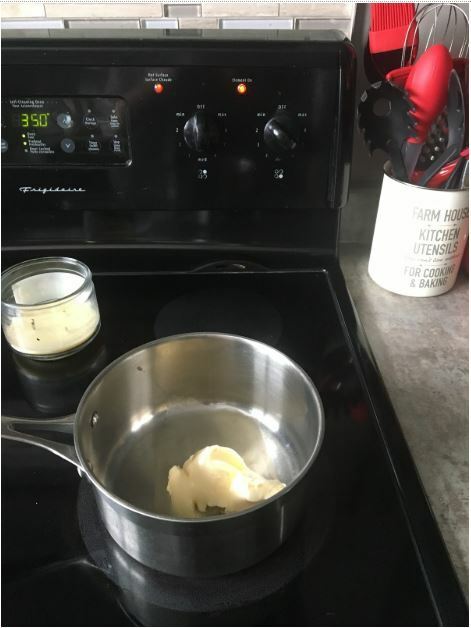 It’s great for other recipes, too, like fresh buns, bread, etc. 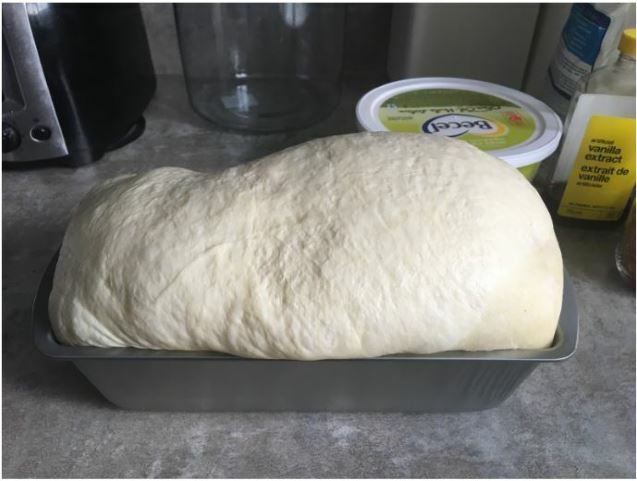 The next day, remove the bag and towel and you’ll find that the frozen dough has defrosted as well as risen to a nice fluffy mound. 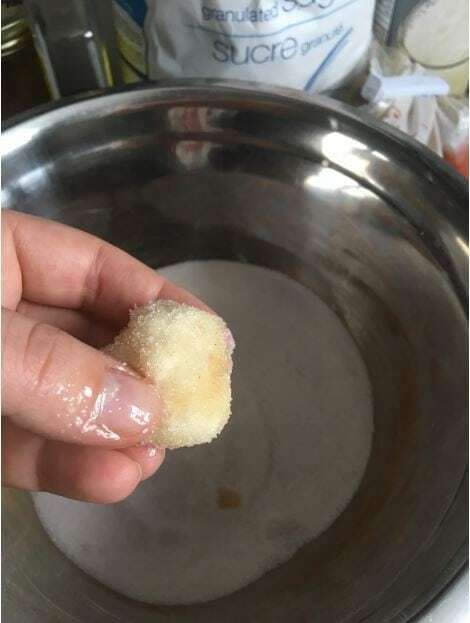 It may be a bit sticky to handle, so feel free to lightly powder your hands and countertop/cutting board with flour to prevent it from sticking together. 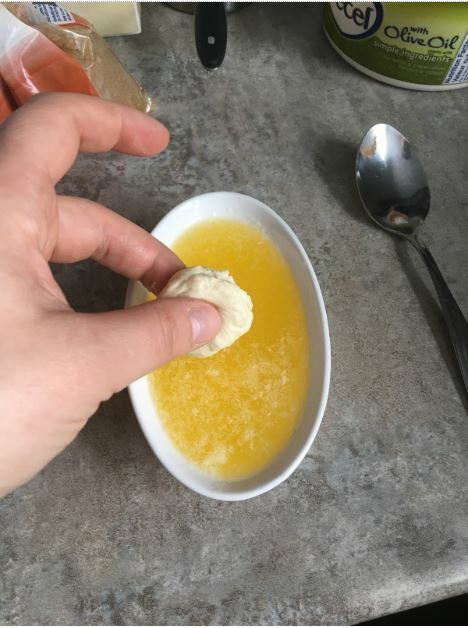 Melt a half cup of butter or margarine in a small to medium bowl and set aside. 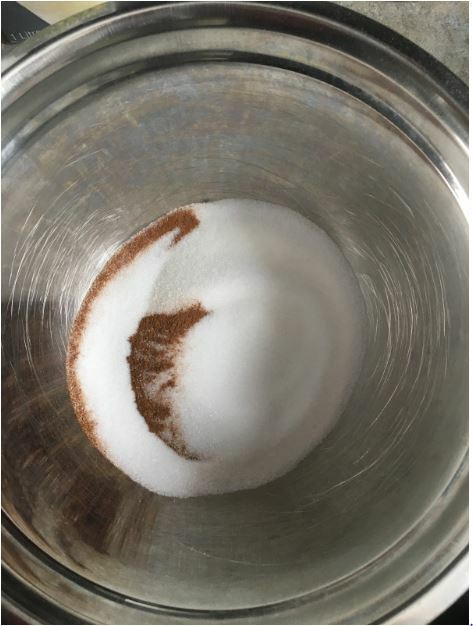 Then, in a new bowl, mix the white sugar with the cinnamon until well blended. You want a nice, light brown sugar. Set this aside as well. And don’t worry about the rest of the brown sugar, butter, and vanilla. You’ll use it in a second. Get out a bundt pan or any baking pan about 9” in width. 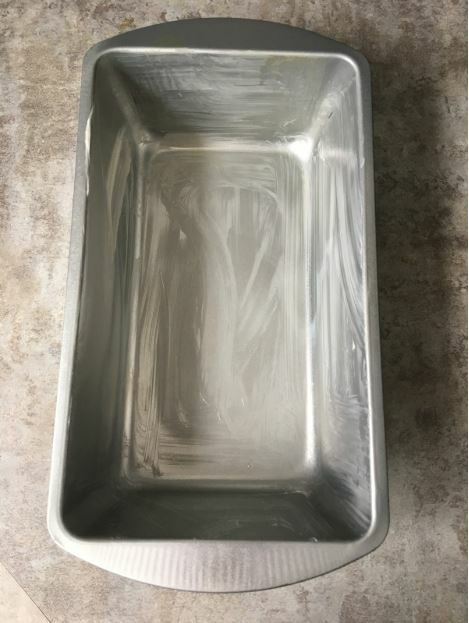 Myself, I used a regular bread loaf pan and it works just great. 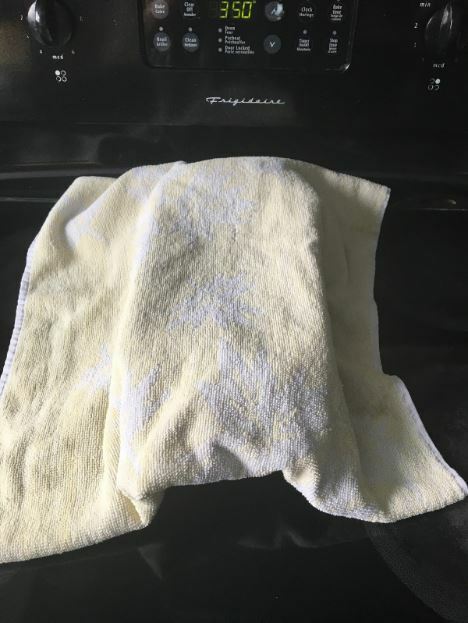 Using a marinating brush or paper towel, coat the insides and bottom with a light layer of butter. This will prevent the monkey bread from sticking to the sides during baking. 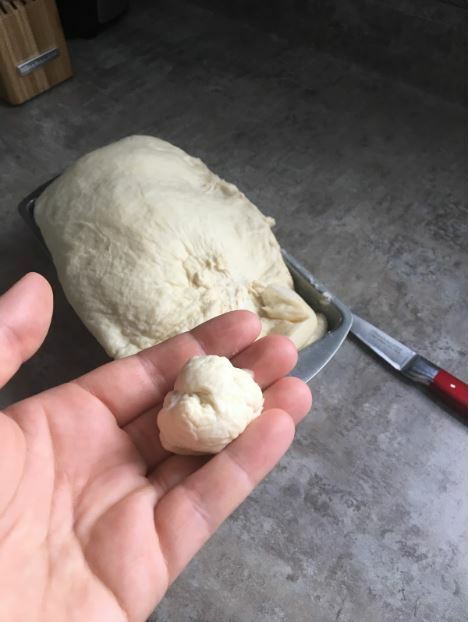 Take your dough and begin to roll small, bite-sized pieces into balls and set aside. It’s a great idea to use a super sharp knife to help you cut the dough into pieces first because it tends to stick together when just pulling apart with your hands. Once that’s done, you can move on to the next step. 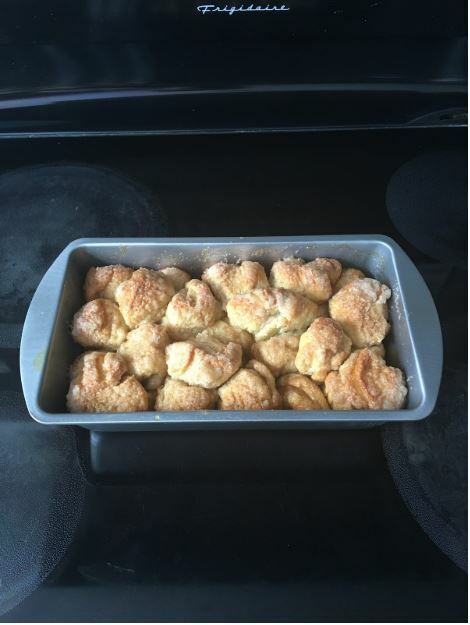 One by one, dip your balls of dough into the melted butter and then roll heavily in the cinnamon sugar mix. A good tip here is to designate one hand to dip in the butter and the other for the dry coat. This eliminates clumping and major mess. Once they’re coated, you can start layering them in the greased pan. Don’t worry about making it neat or tidy, it makes it more fun to pull apart and eat. 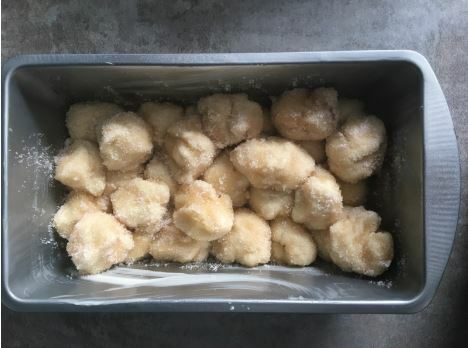 Once you’ve coated all your dough balls and stacked them in the pan, cover with the plastic bag and towel again to let them rise a little more. You will have lost some of the fluffiness during the handling of them. I set mine aside on the stove top for about half an hour and turned the stove on 350 degrees to preheat. This speeds up the rising process. 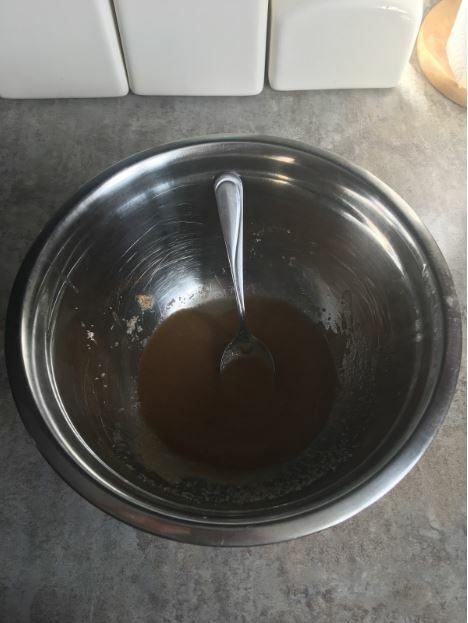 Melt the rest of your butter and mix in a bowl with the brown sugar and vanilla extract. Extra tip: I actually tossed in the rest of my cinnamon sugar coating leftovers. Waste not, want not! Mix this all together until you get a thick, gooey texture. I also added a tablespoon of milk to make a little creamy. 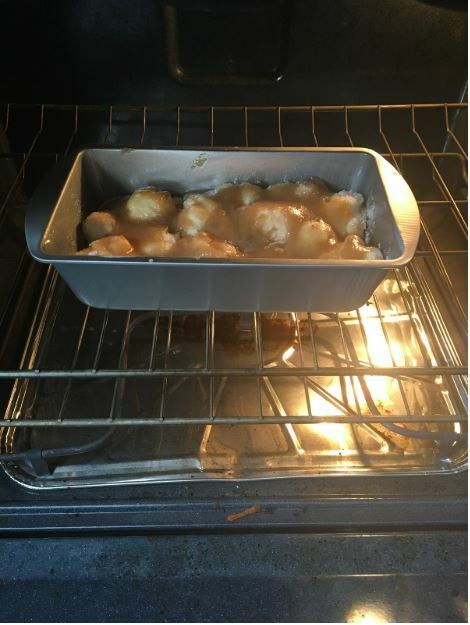 Take your ooey gooey glaze and pour over the coated dough balls. 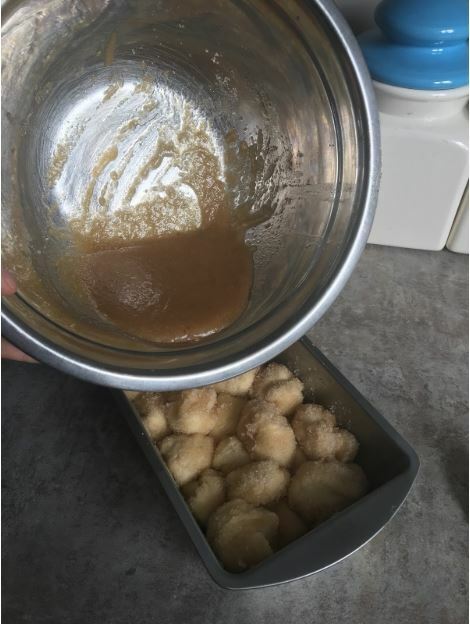 Make sure you get a nice, even pour so that the glaze gets to as much of the dough balls as possible. 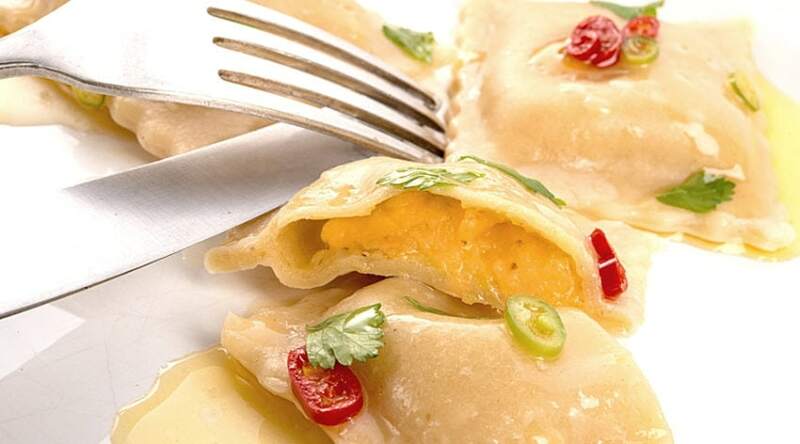 Toss in the oven that you previously preheated at 350 degrees and bake for about 30-40 minutes. Less if you like them soft and gooey, more if you like them with a little crunchy surface. Either way, they’re delicious! Once they’re done, tip the pan upside down on a plate and enjoy! Some people, those with extra super sweet teeth, even go as far as to add another glaze at this stage. You can use white icing, similar to that of the kind used on cinnamon rolls/buns. You could also make your own using powdered sugar. Here’s a great recipe for homemade icing if you need one. And there you go! 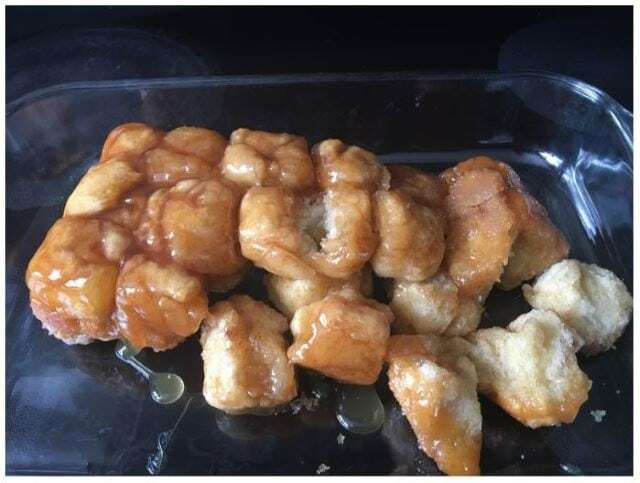 This pull-apart monkey bread is an easy recipe and sure to win over any guest you have for a backyard event. Switch it up sometimes and add crushed pecans and/or raisins. Sprinkle with toasted coconut, chocolate shavings, etc. 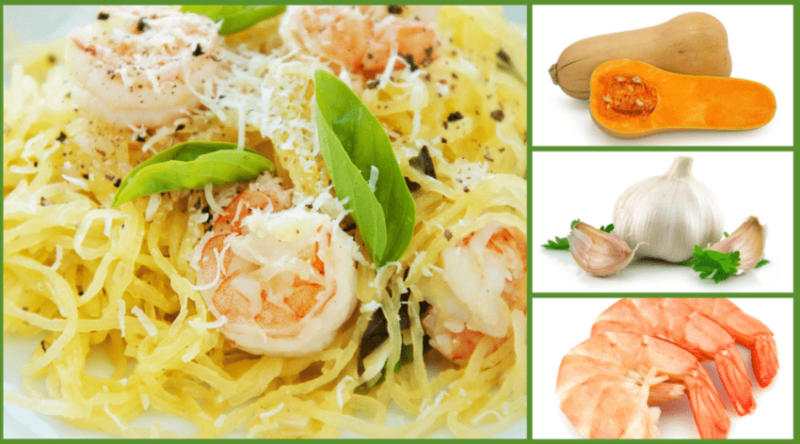 Just about anything you can imagine would taste great in this awesome recipe. If you’ve tried it and loved it, let us know by commenting and sharing below! And feel free to share your experience, tips, or other go-to recipes for backyard parties!